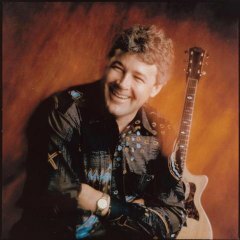 Joining The Limeliters in 2004, and was replaced (after a year-long search) by Don Marovich in 2013, Mack Bailey is a singer-songwriter who has has written and performed a total of 6 solo albums since 1988. Original Limeliters tenor Glenn Yarbrough calls him "The next great singer in folk music". Mack performs on the first recording release of the "new" Limeliters in their 2007 album Right from the Start. The album features all the traditional The Limeliters songs, with the same musical arrangements as the 1960's group. While other kids his age were locking onto rock music, Bailey was listening to his father's old Limeliters and New Christy Minstrel folk albums. "I played them all the time when I was growing up," he says. "I just loved their harmonies. I loved how their voices worked together. It was fun music. They just struck a chord that could take me away and make me feel great." Later, under the sway of John Denver's music, he taught himself to play the guitar.